English is divided into Speaking, Listening, Reading and Writing. Throughout our school English is taught as a discreet subject but also has cross curriculum links within every other subject that we teach and our in our day to day interactions within school. This allows for key skills within English to be embedded and concepts to be transferred. We promote Total Communications for our pupils and use a range of techniques to support them. 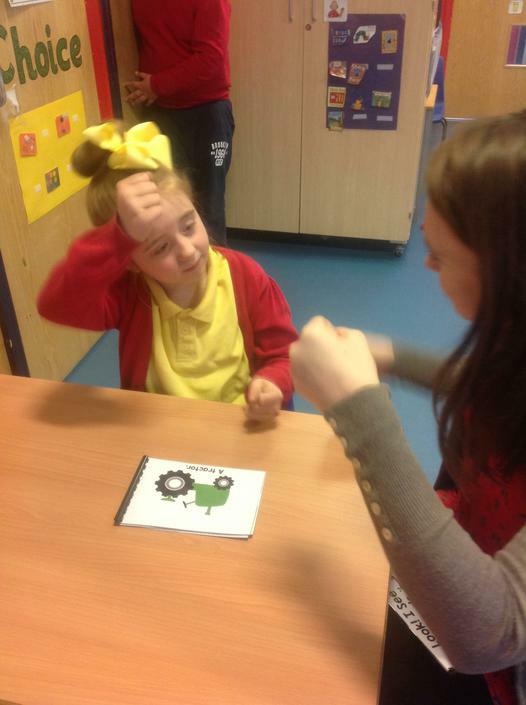 As well as promoting and provide opportunities and reasons for pupils to use and develop their verbal language, we use Objects of Reference, Intensive Interaction, Sign-a-long, Picture Exchange Communication System (PECS), pictures, symbols and Communication Aids (Such as Ipads, Eye Gazes, Liberator and Voice Output Communication Aid (V.O.C.A.)). We also use a computer program called Proloquo2Go on the Ipads. It is a symbol supported communication aid to promote language and grow communication skills. For more information go to “Communication” section on our website. At Rowan Park, early reading and phonic development is taught using Read Write Inc (RWI) phonic scheme as well as Letters and Sounds. 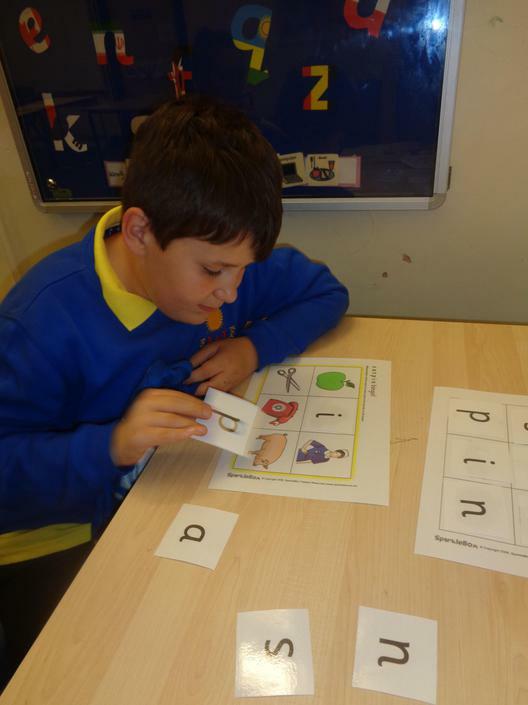 This helps our pupils develop a phonic awareness and knowledge and enable them the best possible starting points to learning to read. Pupils are taught letter-sound correspondence with the help of a mnemonic and then how to write the grapheme (letter). There are three Speedy Sound Sets that pupils work through. We use Read Write Inc to help our children to write. Through the scheme they will learn to write letter and letter groups which represent 44 sounds, learn to write words by oral segmenting - Fred Talk’ and then to write sentences. Examples: Using tweezers, play dough (Dough Gym or Dough Disco), Brain Gym, jigsaw, large movement using ribbons and vertical writing. Supported and prompted mark making and sensory exploration. 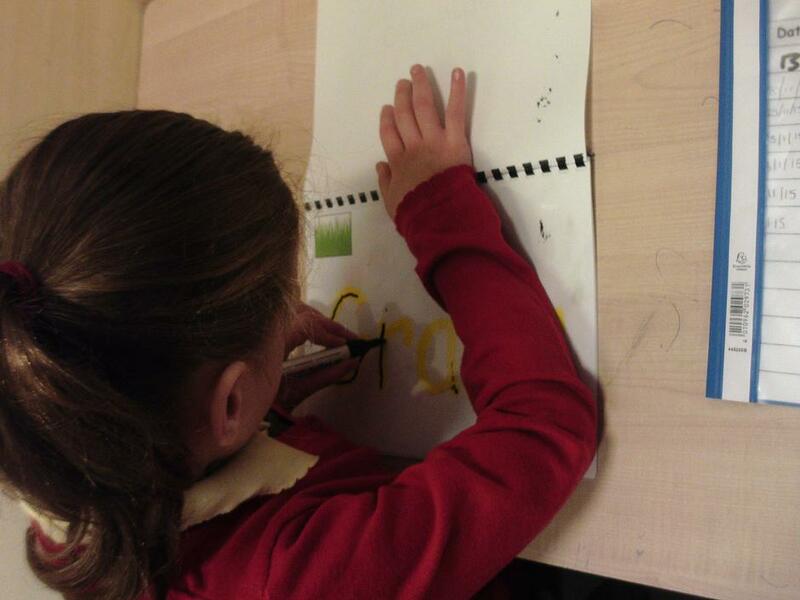 Pupils now begin to make connections between print/drawing and can sometimes tell you what they mean. 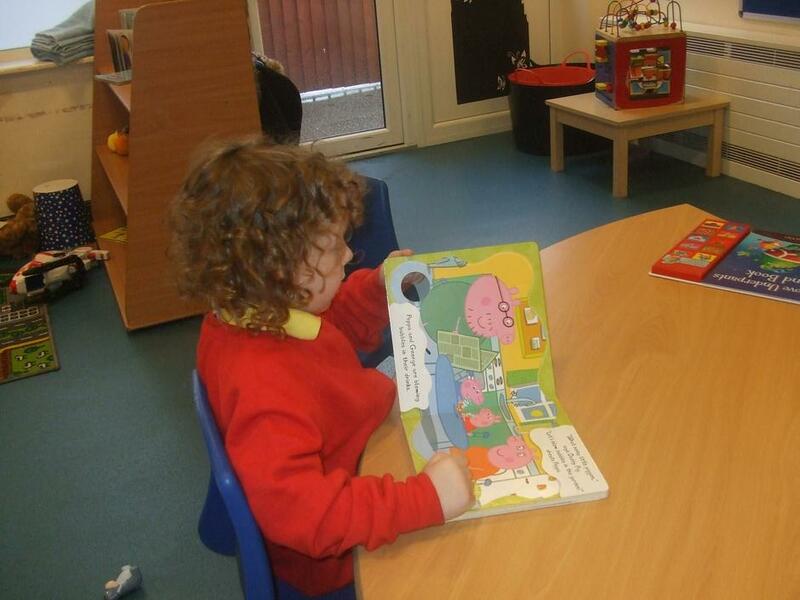 Our pupils Individual reading books are colour coded. Every colour band includes books from a range of reading schemes so that our pupils can experience a range of stories (fiction and non-fiction), text types and illustrations. 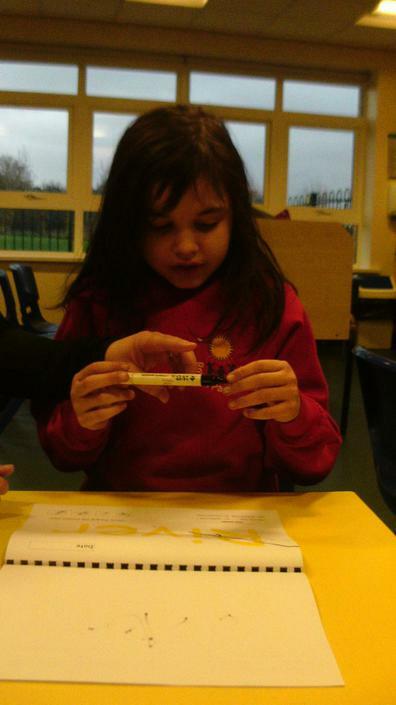 The books can be decoded using phonics skills and knowledge. We also use "Bag Books" which provide multi sensory stories. Bag Books pride themselves on their stories being told through "Voice and Emotion rather than words and pictures"
We send reading books home each Friday for families to share in the enjoyment of reading with their child. We also encourage our pupils to develop a love and enjoyment of reading. Classroom learning environment enable pupils to have access to books. Pupils are encouraged to handle books correctly and with care. Reading and books allows children to: understand the world around them; access fantastic worlds with engaging characters and exciting adventures and comprehend different concepts across the Curriculum. Accelerated Reader is online reading support. A pupils reads a book, takes an online quiz, and gets immediate feedback. 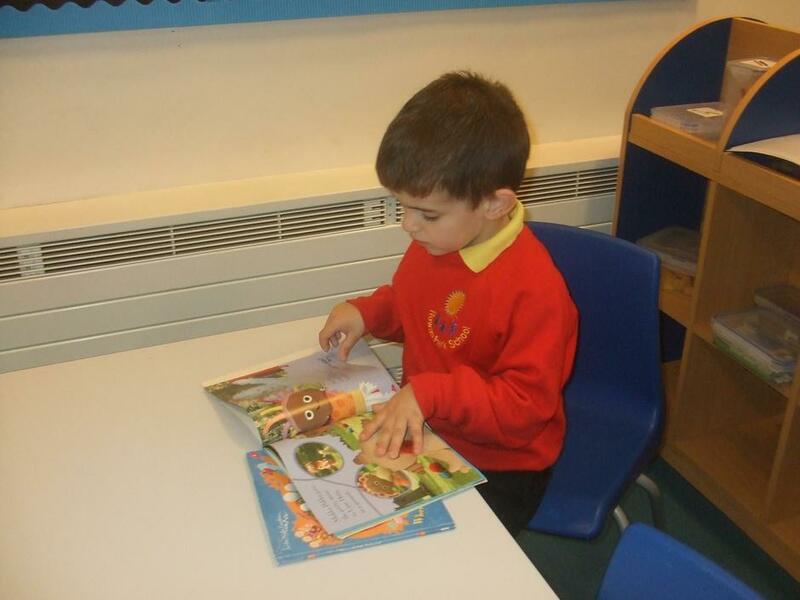 Pupils respond to regular feedback and are motivated to make progress with their reading skills. There are 1000's of books to choose from, including Harry Potter, Roald Dahl stories and Lord of the Flies. The grammar is learnt through interactions with other speakers and from reading. Explicit knowledge of grammar is, however, very important, as it gives us more conscious control and choice in our language. Building this knowledge is best achieved through a focus on grammar within the teaching of reading, writing and speaking. Once our pupils are familiar with a grammatical concept [for example ‘modal verb’], they are encouraged to apply and explore this concept in the grammar of their own speech and writing and to note where it is used by others. Some pupils, in particular, use more complex language in speech than in writing, and teachers should build on this, aiming for a smooth transition to sophisticated writing. 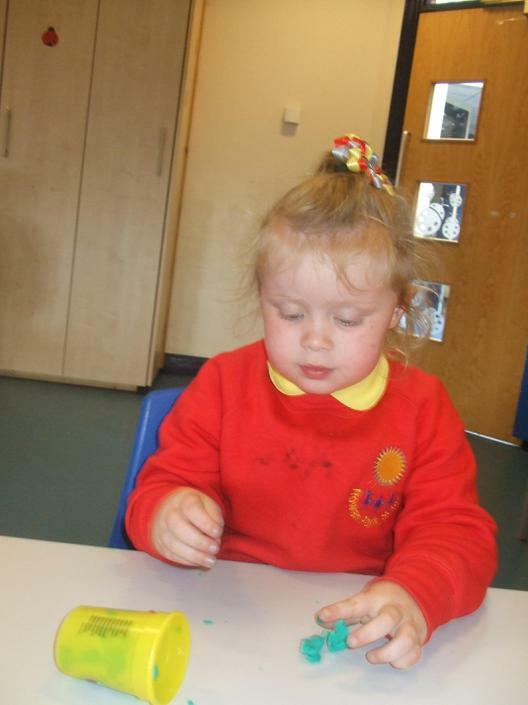 Once children can read using sound-blending, they can apply their phonic knowledge to reading books and developing their writing and spelling skills. At this stage most pupils can read words more accurately than they spell them. 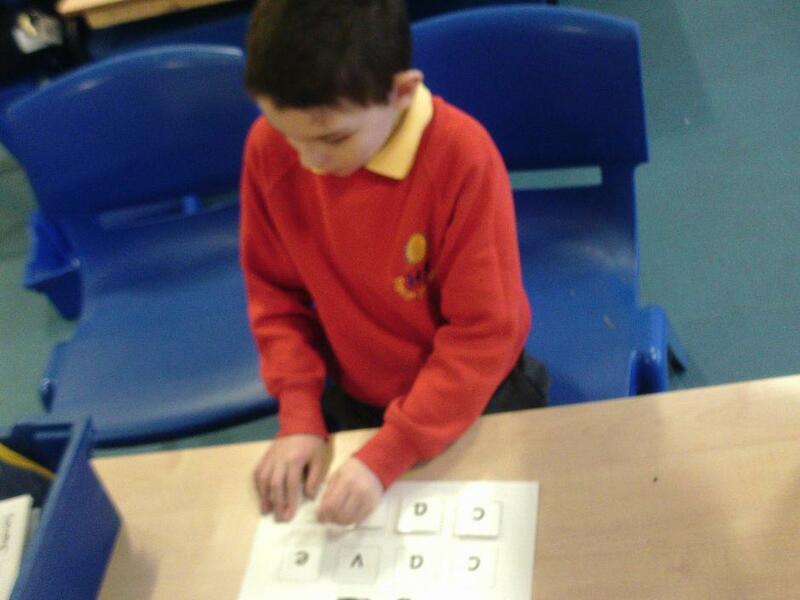 They can read a large number of different words containing phonics, whether or not they have seen these words before. At Rowan Park we therefore have weekly spelling lists for our pupils at this stage. These will build on their sounds knowledge and allow them to learn the correct letters or letter that make up the words. 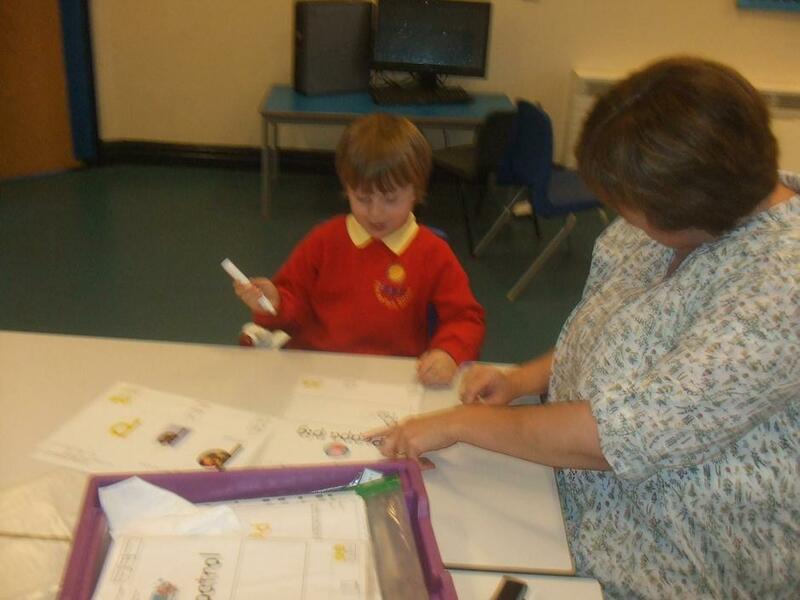 The lists will also go home to families so that they can help with the learning at home. Opportunities for our teachers to enhance pupils’ vocabulary arise naturally from their reading and writing. As vocabulary increases, our teachers will show pupils how to understand the relationships between words, how to understand nuances in meaning, and how to develop their understanding of, and ability to use, figurative language. 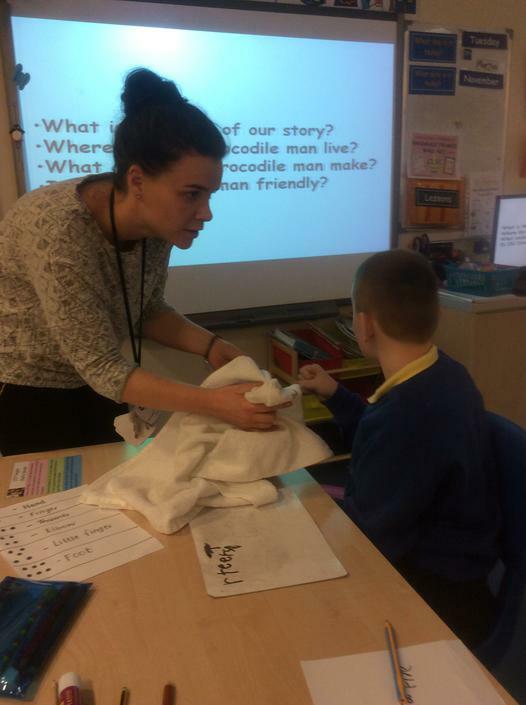 They also teach pupils how to work out and clarify the meanings of unknown words and words with more than one meaning. 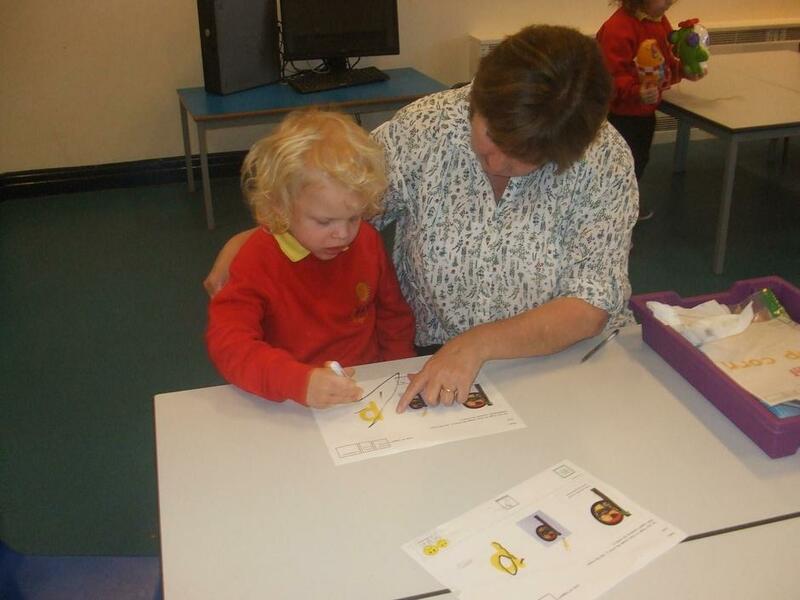 English skills are interwoven throughout the Early Years Foundation Stage (EYFS) curriculum and is therefore part of the day to day curriculum of pupils in the EYFS. Communication & Language is a 'Prime' Area of Development and contain many English Speaking and Listening skills. This area also looks at attention. Literacy is a 'Specific' Area of Development and looks directly at reading and writing skills. 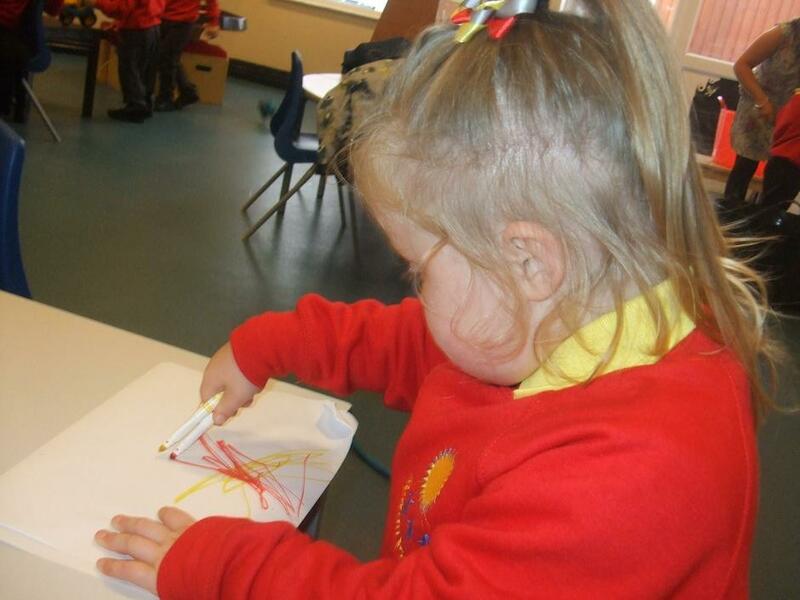 Early writing and mark making skills are also included within the 'Prime' Area of Development, Physical Development. 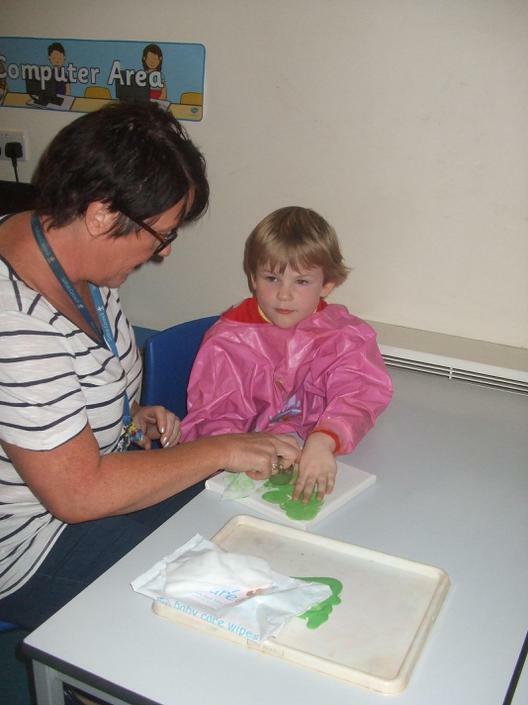 Within this area it looks at fine motor control and grasps that all aid early writing. English again has many cross curricula links throughout the Key Stage 1 and Key Stage 2 curriculum but is taught as a discreet lesson each morning within the Primary classes. This may take the form of Shared Reading or Shared Writing and or individual reading and writing that is specifically linked to a pupils Individual Education Plan (IEP) target. We follow Equals Scheme of Work throughout both Key Stages. Each year group is given a yearly book list. The list contains books that are to be covered within the academic year. It included a variety of Fiction, Non Fiction and Rhyme and Rhythm Books. The list also ensures that pupils are getting a wide breath of books, authors and genres. Books can be repeated in different Key Stages to re-enforce and embed learning. English within Key Stage 3 again has many cross curricula links throughout KS3 curriculum. Once pupils enter the secondary department, English is taught as a discreet lesson three times a week. 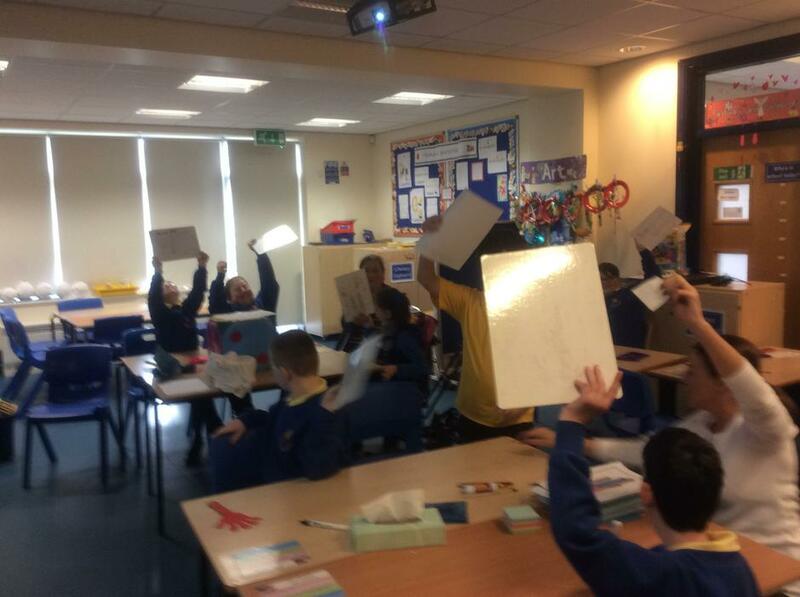 Similar to Primary this may take the form of Shared Reading or Shared Writing and or individual reading and writing that is specifically linked to a pupils Individual Education Plan (IEP) target. Key Stage 3 also Equals Scheme of Work throughout years 7, 8 and 9. Each of the year groups are given a yearly book list. The list contains books that are to be covered within the academic year. It included a variety of Fiction, Non Fiction and Rhyme and Rhythm Books. The list also ensures that pupils are getting a wide breath of books, authors and genres. Some books may already be familiar to pupils as they will have read them whilst in our Primary classes. This helps to embed and re-enforce learning. Within Key Stage 4 and 5, pupils work towards English accreditations. This is delivered through Personal Progress (PP) for AZDAN for pupils working within the P Levels and AQA Enrty Levels 1 and 2 for our other pupils. Life skills are at the heart of the Personal Progress award. Our students enjoy the opportunity of relating what they do and have done at school to the real world. 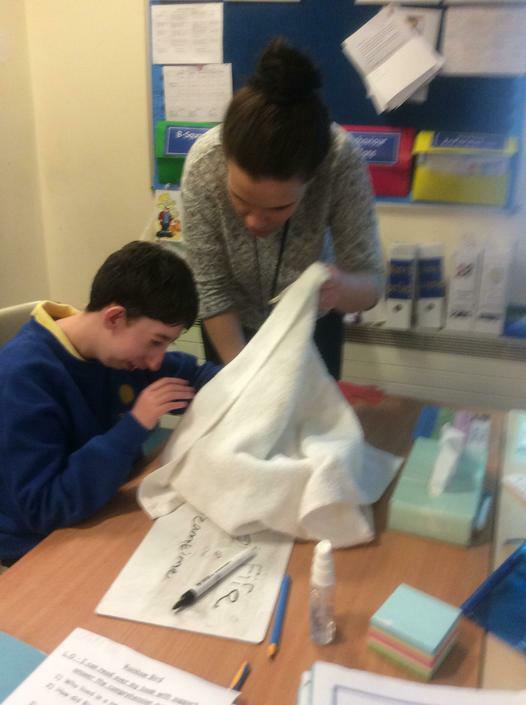 This also allows our students to develop skills for learning, skills for employment and skills that they can use once they leave Rowan Park school. Ours students can take components of the qualification in different exam series or all at the same time. This would depend on the individual student. All components are assessed by controlled assessment enabling our teachers to assess students when they are ready.